A special recruitment day taking place in South Shropshire later this month with a range of jobs available. Ward Manager Leeanne Morgan, who only joined the team in October last year, insists it is a great opportunity to work in a “modern, bright and spacious” hospital. “But what I did know is that the community are very passionate and protective of it; that intrigued me and made me want to find out more. The hospital offers a 16-bedded, Nurse-Led unit where patients can be admitted for rehabilitation when they are too well to be in an acute hospital, but not well enough to be at home looking after themselves. “They may come to us for a short stay while they have some therapy and improve their mobility,” added Leeanne. “They may require further assistance and support at home, so we work collaboratively with patients and families to consider what care packages/equipment they will need at home. So when they return home, everything has been done to ensure they can remain there, for as long as possible. Or to consider, alternative places of care. “Another aspect of our work, is that we are a place of choice for people to come with palliative or end of life care needs. The hospital was lucky enough to be awarded a grant last year to furnish an end of life care suite. It has a relative’s room attached to it so loved ones can stay over. We are passionate about promoting patient choice, and excellent palliative and end of life care that can be given anywhere, that a patient wants it to be given”. 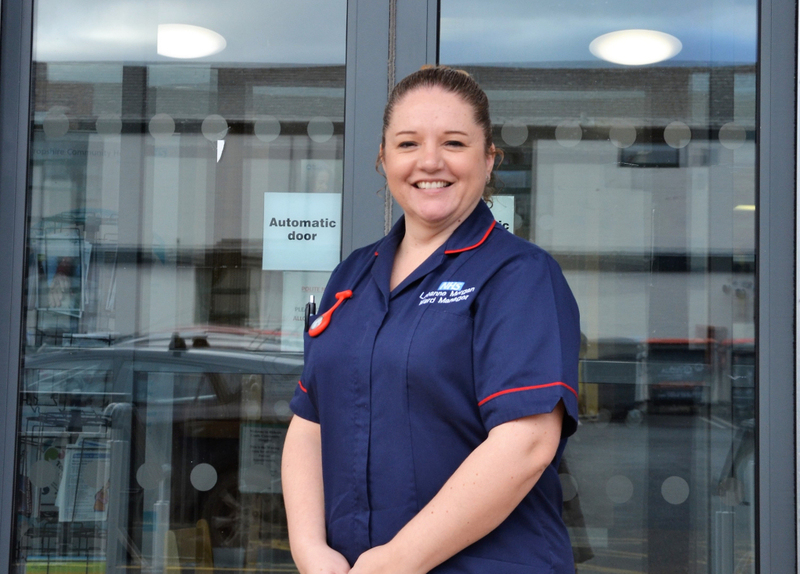 On working at the hospital, Leeanne said: “The work life balance here is very good. I feel very well supported by my manager, to ensure that I clock off at the end of my shift. In previous roles there was a temptation to ‘just stay an hour over and do a bit more’ so I have a much better work/life balance and try to instil this, in my team members too. There are also fantastic career development opportunities including leadership programmes to enhance career progression opportunities. To find out more information please call Alison Morris on 01584 872201 or search for Shropshire Community Health NHS Trust jobs on the NHS jobs website.